The mission of PVHS Booster Club is to supplement limited public school funding for curricular and extracurricular programs. At Palos Verdes High School we have one booster club that supports the arts, academics and athletics. 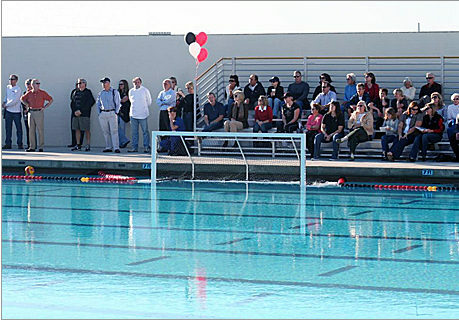 Since its inception in 2001, the PVHS Booster Club has raised significant funds all of which are spent right here at Palos Verdes High School. What is the advantage of having only one booster club? The PVHS one booster club approach is unique and has several advantages. Within our booster club, we have academic, arts and athletic chairs. This ensures that all programs, students and staff are supported. Many schools have separate booster clubs for athletics, drama, music, dance and other extracurricular groups. Having one booster club gives PVHS the advantage of being able to support a broad range of programs and prioritizing funding where it makes the biggest bang for the buck while avoiding the overlaps and multiple requests that ensue from decentralized booster fundraising. Who are these people and why do they want my money? Despite the convenience of having a single booster club there are still many fundraising organizations and demands for parent contributions, all of which meet different needs across the campus. For more information on those click here. Membership information and online registration are available here or in the PVHS registration packet. What does the Booster Club fund? Yes. The Booster Club was established in 2001 as a 501c3 nonprofit tax-exempt organization and all donations are tax deductible. The tax ID number is 30-0005919. Booster Club meetings are held on the second Tuesday of each month (August – May) at 7pm in the PVHS library. All are invited!